This chapter is the first in the calendar to read through. There are many here that I have annotated, circled or drawn lines beside, ones that have become part of my spiritual journey. Twelve have the word ‘Light’ in and therefore are part of my current Qf&P journal. I had already journalled about three earlier in the year, but will be using the remaining nine throughout this month. 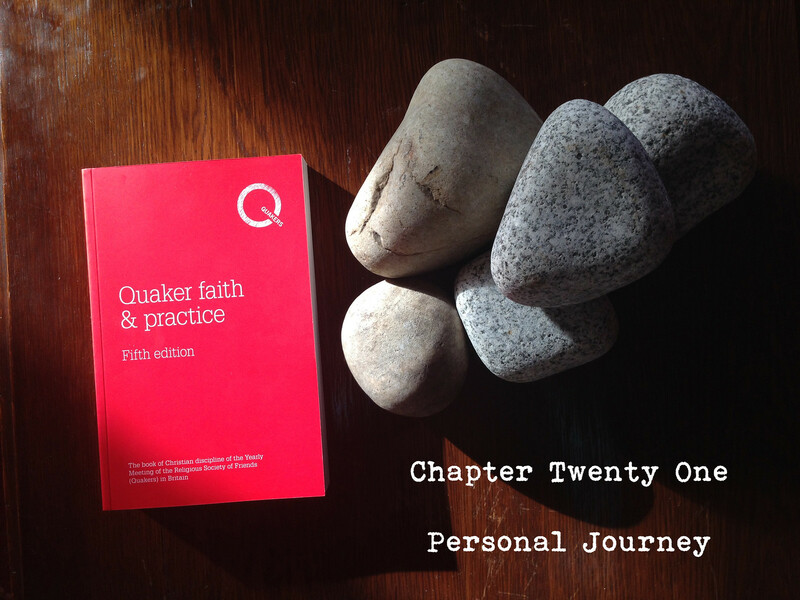 This post is part of my Reading Quaker Faith & Practice series – click here for the introduction and explanation or here for all posts in this series. This entry was posted in Blog, Qf&P by Wendrie Heywood. Bookmark the permalink.